Beamish, R.J., and G.A. McFarlane (editors). 2014. The Sea Among Us: The Amazing Strait of Georgia. Harbour Publishing, Madeira Park, BC, V0N 2H0. Beamish, R.J. 2014. The Fishes. Pages 103-182 in R.J. Beamish and G.A. McFarlane (editors) The Sea Among Us: The Amazing Strait of Georgia. Harbour Publishing, Madeira Park, BC, V0N 2H0. in the Fraser River. North Pacific Anadromous Fish Commission Technical Report 9:38-44. Neville, C. M., Trudel, M., Beamish, R.J., and Johnson. S.C. 2013. The early marine distribution of juvenile Sockeye Salmon produced from the extreme low return in 2009 and the extreme high return in 2010. North Pacific Anadromous Fish Commission Technical Report 9:65-68. Beamish, R.J., R.M. Sweeting, C.M. Neville, D. Preikshot, K.L. Lange and T.D. Beacham. . A late ocean entry life history type has improved survival for sockeye and chinook salmon in recent years in the Strait of Georgia. Report of Fisheries and Aquatic Sciences 3005. viii + 58 p.
Jones, S.R.M, and Beamish, R.J. (Editors) 2011. Salmon Lice: An Integrated Approach to Understanding Parasite Abundance and Distribution. Blackwell Publishing. Beamish, R.J., and B.J. Rothschild (eds. ), The Future of Fisheries Science in North America. Fish & Fisheries Series, Springer Science + Business Media B.V. Proceedings of the AIFRB Symposium held June 2007, Halifax NS. Beamish, R.J.  Life history polymorphism in a population of Lampetra richardsoni and Lampetra richardsoni marifuga from Morrison Creek, British Columbia, Canada. Unpublished document. Beamish, R., W. Pennell, J. Wade, C. Neville and R. Sweeting. Things to consider before deciding how sea lice impact pink salmon populations. Opinion paper. Trends in Parasitology (Re-submitted May 2008). Beamish, R.J., Farley, Jr., E.V., Irvine, J., Kaeriyama, M., Kang, S., Karpenko, V.I., Nagasawa, T., and Urawa, S. (editors) 2007. North Pacific Anadromous Fish Commission Technical Report 7. Proceedings of the Second International Workship on Factors Affecting Production of Juvenile Salmon: Survival Strategy of Asian and North American Juvenile Salmon in the Ocean, April 26-27, 2006, Sapporo Japan, 135 p.
Saksida, S., Constantine, J., Karreman, G.A., Neville, C. Sweeting, R. and Beamish, R. 2006. Evaluation of sea lice, Lepeophtheirus salmonis, abundance levels on farmed salmon in British Columbia, Canada. In The Proceedings from the International Symposium on Veterinary Epidemiology and Economics XI, Cairns, Australia. Beamish, R.J. 2005. 100 years of fishing off Canada’s Pacific coast. Pp. 4-5 In W.S. Wooster (ed.) Improving Fishery Management: Melding Science and Goverance. Summ. Proceed. U. Wash. Nov 15-16, 2004. Publ. by School of Marine Affairs, University of Washington, Seattle. Beamish, R.J. 2004. We are not prepared to manage fisheries in a changing climate. In L. Taylor & A. Ryall (eds.) Mountains as water towers. Proceedings of the Banff Mountain Summit, November 2003. Banff Centre, Banff, Alta. pp. 121-123. Gao, Y.W, Beamish, R.J., and Brand, U. 2004. Yearly stable isotopic and 1000Sr/Ca ration analyses in otoliths of Pacific hake (Merluccius productus) and walleye pollock (Theragra chalcogramma) from Georgia Strait, British Columbia. In S.R. Li, J.F. Shen, & H. Xu (eds.) Mineralogy and Geochemistry: Resources, Environment and Life. Geological Publishing House, Beijing. pp. 69-77. Beamish, R.J., C.M. Neville, and R. Sweeting. 2003. Ecosystem Based Management should include an assessment of the impacts of Pacific salmon escapements and enhancement on the juvenile salmon that rear in the Strait of Georgia. Georgia Basin/Puget Sound Research Conference 2003. Beamish, R.J. 2001. Effects of global climate change on the fisheries off the west coast of Canada. A report presented to the Pacific Resource Conservation Council. 4p. Beamish, R.J. 2001. Visits to Russia. Reference to come. 11p. Beamish, R.J., G.A. McFarlane, C.M. Neville, and I. Pearsall. 2001. Changes in the Strait of Georgia ECOPATH model needed to balance the abrupt increases in productivity that occurred in 2000. Pages 5-9 in G.A. McFarlane, B.A. Megrey, B.A. Taft, and W.T. Peterson (eds.) PICES-GLOBEC International Program on Climate Change and Carrying Capacity: Report of the 2000 Bass, Model, Monitor and Rex Workshops, and the 2001 Bass/Model Workshop. PICES Scientific Report No. 17. Gitay, H., S. Brown, W. Easterling, B. Jallow, J. Antle, M Apps, R. Beamish, T. Chapin, W. Cramer, J. Frangi, J. Laine, L. Erda, J. Magnuson, I. Noble, J. Price, T. Prowse, T. Root, E. Schulze, O. Sirotenko, B. Sohngen, J. Soussana, H. Bugmann, C. Egorov, M. Finlayson, R. Fleming, W. Fraser, L. Hahn, K. Hall, M. Howden, M. Hutchins, J. Ingram, J. Hui, G. Masters, P. Megonigal, J. Morgan, N. Myers, R. Neilson, S. Page, C. Parmesan, J. Rieley, N. Roulet, G. Takle, J. van Minnen, D. Williams, T. Williamson, and K. Wilson. 2001. Ecosystems and their goods and services. Pages 235-342 in J.J. McCarthy, O.F. Canziani, N.A. Leary, D.J. Dokken, and K.S. White (eds.) Climate change 2001: impacts, adaptation, and vulnerability. Contribution of Working Group II to the Third Assessment Report of the Intergovernmental Panel on Climate Change. Cambridge University Press, Cambridge, UK. McLean, R.F., A. Tsyban, V. Burkett, J.O. Codignotto, D.L. Forbes, N. Mimura, R.J. Beamish, and V. Ittekkot. 2001. Coastal zones and marine ecosystems. Pages 343-379 in J.J. McCarthy, O.F. Canziani, N.A. Leary, D.J. Dokken, and K.S. White (eds.) Climate change 2001: impacts, adaptation, and vulnerability. Contribution of Working Group II to the Third Assessment Report of the Intergovernmental Panel on Climate Change. Cambridge University Press, Cambridge, UK. Beamish, R.J. 2000. Impacts of global warming on British Columbia salmon… the urgent need for a strategy to manage salmon in a changing climate. Second report of the Pacific Fisheries Resource Conservation Council, May 2000. Beamish, R.J. 1999. Climate, salmon, and preparing for the future. Pages 85-98 in G.A. Bisbal (ed.) Symposium on ocean conditions and the management of Columbia River salmon: proceedings of the July 1, 1999 symposium in Portland, Oregon. Northwest Power Planning Council, Portland, OR. Beamish, R. 1999. Why a strategy for managing salmon in a changing climate is urgently needed. Pages 14-16 in Conference: climate change and salmon stocks, Vancouver, BC, October 27, 1999. Pacific Fisheries Resource Conservation Council. Leask, K.D., and R.J. Beamish. 1999. Review of the fisheries and biology of the Pacific Hagfish (Eptatretus stoutii) in British Columbia, with recommendations for biological sampling in a developmental fishery. Canadian Stock Assessment Secretariat Research Document 99/205. 48p. Beamish, R.J. 1998. Updated COSEWIC status report on the lake lamprey, Lampetra macrostoma. Committee on the Status of Endangered Wildlife in Canada, Ottawa, Ontario. 11p. McFarlane, G. A. and R.J. Beamish. 1998. Sardines spawn in British Columbia waters for the first time. The Westcoast Fisherman. April issue, 19-20. Beamish, R.J. 1997. Protecting plants and animals in the Strait of Georgia – ideas for action. Report of the Work Group on the Protection of Marine Plants and Animals in the Strait of Georgia. 70p. Unpublished document available from Dr. R.J. Beamish, Pacific Biological Station, Nanaimo, B.C. Canada. V9R 5K6. Beamish, R.J. (ed.). 1995. Climate change and northern fish populations. Canadian Special Publication of Fisheries and Aquatic Sciences 121. 739p. Beamish, R.J, C.-E. Neville, J. Rice, and Z. Zhang. 1995. Factors affecting the marine survival of Coho salmon in the Strait of Georgia. PSARC Working Paper S95-4. 32p. + 7 figs. Beamish, R.J., B.L. Thomson, C.-E.M. Neville, B.E. Riddell, and Z. Zhang. 1995. Evidence of a possible relationship between changes in chinook salmon catches in the Strait of Georgia and shifts in the marine environment. PSARC Working Paper S95-2. 40p. + 13 figs. Beamish, R.J., B.L. Thomson, and C.-E. M. Neville. 1994. Inshore lingcod. PSARC Document G94-2A. Copping, A., R. Beamish, C. Ebbesmeyer, C. Garrett, B. McCain, and T. Pedersen. 1994. Shared waters: the vulnerable inland sea of British Columbia and Washington. British Columbia / Washington Marine Science Panel. . .British Columbia / Washington Marine Science Panel. 1994. The shared marine waters of British Columbia and Washington: a scientific assessment of current status and future trends in resource abundance and environmental quality in the Strait of Juan de Fuca, Strait of Georgia, and Puget Sound. Report to the British Columbia / Washington Environmental Cooperation Council. British Columbia / Washington Marine Science Panel. 119p. Washington Sea Grant Program, Seattle, WA. Wilson, R.C.H., R.J. Beamish, F. Aitkens, and J. Bell (eds.). 1994. Review of the marine environment and biota of Strait of Georgia, Puget Sound and Juan de Fuca Strait: proceedings of the BC/Washington Symposium on the Marine Environment, January 13 & 14, 1994. Canadian Technical Report of Fisheries and Aquatic Sciences 1948. 390p. Beamish, R.J. 1993. 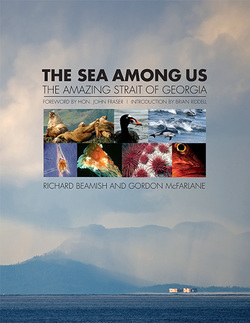 Briefing document on the ecology of Strait of Georgia. Unpublished document. iii + 96p. Beamish, R.J., and C.M. Neville. 1993. Hagfish. Pages 360-378 in B.M. Leaman and M. Stocker (eds.) Groundfish stock assessments for the west coast of Canada in 1992 and recommended yield options for 1993. Canadian Technical Report of Fisheries and Aquatic Sciences 1919. Beamish, R.J. 1992. Preliminary summary of a report on Russian research studies of Pacific halibut. Unpublished document. Neville, C.M., and R.J. Beamish. 1992. Hagfish. Pages 267-280 in B.M. Leaman (ed.) Groundfish stock assessments for the west coast of Canada in 1991 and recommended yield options for 1992. Canadian Technical Report of Fisheries and Aquatic Sciences 1866. Polat, N., and R.J. Beamish. 1992. Annulus formation on anatomical structures of Siraz (Capoeta capoeta) in Altinkaya Dam Lake. Ondokuz Mayis Universitesi, Fen Dergisi 4(1): 70-88. Beamish, R.J., and K.L. Francis. 1991. Canada's Pacific fisheries. Bulletin of Far Eastern Branch, USSR Academy of Science. Beamish, R.J. 1989. Fisheries science and fisheries management. Pages 127‑128 in Conference Proceedings on Pacific Rim Fisheries: Business Development & Policy, University of Alaska, Anchorage, Alaska, U.S.A., March 13‑15, 1989. Beamish, R.J., F. Bernard, K. Francis, B. Hargreaves, S. McKinnell, L. Margolis, and B. Riddell. 1989. A preliminary summary of the impact of the squid driftnet fishery on salmon, marine mammals, and other marine animals. Pages 73‑95 in North Pacific driftnet conference: proceedings, volume 1, July 17‑19, 1989, Victoria, British Columbia, Canada. Beamish, R.J. 1986. COSEWIC status report in the lake lamprey, Lampetra macrostoma, in Canada. Committee on the Status of Endangered Wildlife in Canada, Ottawa, Ontario. 14p. Beamish, R.J., and G.A. McFarlane. 1986. Pacific hake stocks off the west coast of Vancouver Island. International North Pacific Fisheries Commission Bulletin Number 45: 393-412. McFarlane, G.A., and R.J. Beamish. 1986. Biology and fishery of Pacific hake (Merluccius productus) in the Strait of Georgia. International North Pacific Fisheries Commission Bulletin Number 45: 365-392. McFarlane, G.A., and R.J. Beamish. 1986. Production of strong year‑classes of sablefish (Anoplopoma fimbria) off the west coast of Canada. International North Pacific Fisheries Commission Bulletin Number 47: 191‑202. Cass, A.J., R.J. Beamish, and M.S. Smith. 1984. Study of the biology of lingcod off the west coast of Vancouver Island, M/V Arctic Harvester, November 22‑December 2, 1977. Canadian Data Report of Fisheries and Aquatic Sciences No. 461. 73p. Leaman, B.M., and R.J. Beamish. 1984. Ecological and management implications of longevity in some northeast Pacific groundfishes. International North Pacific Fisheries Commission Bulletin Number 42: 85‑97. McFarlane, G.A., R.J. Beamish, and R.L. Demory. 1984. Additional information on the validity of the ageing technique for sablefish developed by Beamish and Chilton (1982). 14p. McFarlane, G.A., R.J. Beamish, M.W. Saunders, M.S. Smith, and T. Butler. 1984. Data for the biology and diet studies of spiny dogfish (Squalus acanthias) in Hecate Strait, B. C., August 1977 and June 1978. Canadian Data Report of Fisheries and Aquatic Sciences 443. 410p. Beamish, R.J., and A.J. Cass. 1983. Lingcod. Underwater World Fact Sheet. Fisheries and Oceans Canada, Ottawa. 6p. Beamish, R.J., and G.A. McFarlane. 1983. Summary of results of the Canadian sablefish tagging program. Pages 147‑183 in Proceedings of the International Sablefish Symposium, March 29-31, 1983, Anchorage, Alaska. Alaska Sea Grant Report 83‑8. Beamish, R.J., and G.A. McFarlane. 1983. Validation of age determination estimates: the forgotten requirement. Pages 22-33 in On age determination of ocean pelagic fishes: tunas, billfishes, and sharks. NOAA Technical Report NMFS 8. Beamish, R.J., G.A. McFarlane, and D.E. Chilton. 1983. Use of oxytetracycline and other methods to validate a method of age determination for sablefish. Pages 95‑116 in Proceedings of the International Sablefish Symposium, March 29-31, 1983, Anchorage, Alaska. Alaska Sea Grant Report 83‑3. Beamish, R.J., G.A. McFarlane, R. Scarsbrook, D. Chilton, I. Barber, K. Best, A. Cass, and W. Shaw. 1983. A summary of sablefish tagging and biological studies conducted during 1980, and 1981 by the Pacific Biological Station. Canadian Manuscript Report of Fisheries and Aquatic Sciences 1732. iv + 135p. Mason, J.C., R.J. Beamish, and G.A. McFarlane. 1983. Sexual maturity, fecundity, spawning, and early life history of sablefish (Anoplopoma fimbria) in waters off the Pacific coast of Canada. Pages 137-140 in Proceedings of the International Sablefish Symposium, March 29-31, 1983, Anchorage, Alaska. Alaska Sea Grant Report 83-8. McFarlane, G.A., and R.J. Beamish. 1983. Biology of adult sablefish (Anoplopoma fimbria) in waters off western Canada. Pages 59‑80 in Proceedings of the International Sablefish Symposium, March 29-31, 1983, Anchorage, Alaska. Alaska Sea Grant Report 83‑8. McFarlane, G.A., and R.J. Beamish. 1983. Preliminary observations on the juvenile biology of sablefish (Anoplopoma fimbria) in waters off the west coast of Canada. Pages 119‑135 in Proceedings of the International Sablefish Symposium, March 29-31, 1983, Anchorage, Alaska. Alaska Sea Grant Report 83‑8. McFarlane, G.A., W. Shaw, and R.J. Beamish. 1983. Observations on the biology and distribution of Pacific hake, walleye pollock, and spiny dogfish in the Strait of Georgia February 20‑May 2 and July 3, 1981. Canadian Manuscript Report of Fisheries and Aquatic Sciences No. 1722. vi + 109p. Shaw, W., G.A. McFarlane, and R.J. Beamish. 1983. An examination of the biology and distribution of Pacific hake, walleye pollock, and spiny dogfish in the Strait of Georgia. R/V G. B. REED, May 25‑June 18, 1976. Canadian Manuscript Report of Fisheries and Aquatic Sciences No. 1697. 240p. Shaw, W., G.A. McFarlane, and R.J. Beamish. 1983. Biological study of Pacific hake, walleye pollock and spiny dogfish in the Strait of Georgia. R/V G. B. REED, March 22‑April 2, 1976. Canadian Data Report of Fisheries and Aquatic Sciences No. 398. iv + 76p. Chilton, D.E., and R.J. Beamish. 1982. Age determination methods for fishes studied by the Groundfish Program at the Pacific Biological Station. Canadian Special Publication of Fisheries and Aquatic Sciences 60. 102p. McFarlane, G.A., R.J. Beamish, M.S. Smith, V. Egan, and D. Brown. 1982. Results of spiny dogfish (Squalus acanthias) tagging in the Strait of Georgia, Queen Charlotte Sound, Hecate Strait, and Dixon Entrance, during 1980. Canadian Manuscript Report of Fisheries and Aquatic Sciences No. 1646. iv + 123p. McFarlane, G.A., R.J. Beamish, and K.R. Weir. 1982. Study of the biology and distribution of Pacific hake during the first commercial fishery conducted in the Strait of Georgia by the M/V Callistratus February 16‑17, March 10‑April 3, and May 12, 1979. Canadian Manuscript Report of Fisheries and Aquatic Sciences No. 1650. iv + 111p. Beamish, R.J. 1981. A preliminary report of Pacific hake studies conducted off the west coast of Vancouver Island. Canadian Manuscript Report of Fisheries and Aquatic Sciences 1610. 43p. Beamish, R.J., C. Houle, and R. Scarsbrook. 1980. A summary of sablefish tagging and biological studies conducted during 1979 by the Pacific Biological Station. Canadian Manuscript Report of Fisheries and Aquatic Sciences No. 1588. 194p. Cass, A.J., R.J. Beamish, M.S. Smith, and K. Weir. 1980. Hake and pollock study, Strait of Georgia cruise, G. B. Reed, January 13‑28, 1976. Canadian Data Report of Fisheries and Aquatic Sciences No. 225. 88p. Beamish, R.J. 1979. The use of sections of fin rays to determine the age of pollock (Theragra chalcogramma), Pacific cod (Gadus macrocephalus), albacore tuna (Thunnus alalunga), and comments on the importance of the fin ray method for the determination of age of fishes. International North Pacific Fisheries Commission Document No. 2209. 41p. Beamish, R.J., and J.R. Scarsbrook. 1979. The distribution and feeding habits of lampreys in the surface waters of the Gulf Islands and in the vicinity of the Fraser River, British Columbia. Fisheries and Marine Service Manuscript Report No. 1512. 353p. Brown, D.R., L.G. (Van) Egan, M.S. Smith, and R.J. Beamish. 1979. Results of spiny dogfish (Squalus acanthias) tagging in the Strait of Georgia in 1978. Fisheries and Marine Service Data Report No. 141. 33p. Sigmund, N., R.J. Beamish, J. Fargo, G. Kingston, and M. Stocker. 1979. Exploratory bottom trawling for sablefish southwest of Vancouver Island, 1978. Fisheries and Marine Service Manuscript Report No. 1517. 45p. Beamish, R.J., M. Smith, and R. Scarsbrook. 1978. Hake and pollock study, Strait of Georgia cruise, G. B. Reed January 6‑February 21, 1975. Fisheries and Marine Service Data Report 48. 206p. Beamish, R.J., and T. Uyeno. 1978. Karyotype of Hiodon tergisus and DNA values of Hiodon tergisus and Hiodon alosoides. Proceedings of Japan Academy. Chromosome Information Service No. 24: 5‑8. Beamish, R.J., K.R. Weir, J.R. Scarsbrook, and M.S. Smith. 1978. Growth of young Pacific hake, walleye pollock, Pacific cod, and lingcod in Stuart Channel, British Columbia in 1976. Fisheries and Marine Service Manuscript Report 1518. 111p. Beamish, R.J., C. Wood, and C. Houle. 1978. A summary of sablefish tagging studies conducted during 1977 by the Pacific Biological Station. Fisheries and Marine Service Data Report 77. 103p. Cass, A.J., R.J. Beamish, M.S. Smith, and J.R. Scarsbrook. 1978. Hake and pollock study, Strait of Georgia cruise, G. B. Reed, March 17‑24, 1975. Fisheries and Marine Service Data Report 50. 66p. Low, C.J., and R.J. Beamish. 1978. A study of the nesting behavior of lingcod (Ophiodon elongatus) in the Strait of Georgia, British Columbia. Fisheries and Marine Service Technical Report 843. 27p. Weir, K., R.J. Beamish, M.S. Smith, and J.R. Scarsbrook. 1978. Hake and pollock study, Strait of Georgia bottom trawl cruise G. B. Reed, February 25‑March 13, 1975. Fisheries and Marine Service Data Report 71. 153p. Foucher, R.P., and R.J. Beamish. 1977. A review of oocyte development in fishes with special reference to Pacific hake (Merluccius productus). Fisheries and Marine Service Technical Report 755. 16p. Beamish, R.J. 1976. Acidification of lakes in Canada by acid precipitation and the resulting effects on fishes. Water, Air and Soil Pollution 6: 501‑514. Beamish, R.J. 1976. Initial examination of Pacific hake and walleye pollock populations southwest of Vancouver Island September, 1975. Fisheries Research Board of Canada Manuscript Report Series No. 1375. 36p. Beamish, R.J. 1976. Pacific hake and walleye pollock study Strait of Georgia cruise, A. P. Knight November 18‑20, 1974. Fisheries Research Board of Canada Manuscript Report Series No. 1379. 16p. Beamish, R.J. 1976. Pacific hake and walleye pollock study Strait of Georgia cruise A. P. Knight, October 3‑9, 1974. Fisheries Research Board of Canada Manuscript Report Series No. 1378. 22p. Beamish, R.J., L.M. Blouw, and G.A. McFarlane. 1976. A fish and chemical study of 109 lakes in the Experimental Lakes Area (ELA), northwestern Ontario, with appended reports on lake whitefish ageing errors and the northwestern Ontario baitfish industry. Fisheries and Marine Service Research and Development Technical Report No. 607. 116p. Beamish, R.J., D. Davenport, and J.R. Scarsbrook. 1976. Pacific hake and walleye pollock study Strait of Georgia Cruise, A. P. Knight July 29‑31, 1974. Fisheries Research Board of Canada Manuscript Report Series No. 1374. 28p. Beamish, R.J., D. Eftoda, R. Scarsbrook, and M. Smith. 1976. Pacific hake and walleye pollock study Strait of Georgia cruise A. P. Knight, April 7‑18, 1975. Fisheries Research Board of Canada Manuscript Report Series No. 1380. 40p. Beamish, R.J., D. Eftoda, M. Smith, R. Scarsbrook, and R. U'ren. 1976. Pacific hake and walleye pollock study Strait of Georgia cruise, A. P. Knight May 5‑14, 1975. Fisheries Research Board of Canada Manuscript Report Series No. 1381. 25p. Beamish, R.J., F.P. Jordan, J.R. Scarsbrook, and R. Page. 1976. An initial study of fishes inhabiting the surface waters of the Strait of Georgia. M.V. Caligus July‑August, 1974. Fisheries Research Board of Canada Manuscript Report Series No. 1377. 37p. Beamish, R.J., J.R. Scarsbrook, and F.P. Jordan. 1976. A bottom trawl study of Pacific hake and walleye pollock along the inshore areas adjacent to Vancouver Island in the Strait of Georgia. Fisheries and Marine Service Data Record No. 4. 67p. Beamish, R.J., and M.S. Smith. 1976. A preliminary report on the distribution, abundance, and biology of juvenile spiny dogfish (Squalus acanthias) in the Strait of Georgia and their relationship with other fishes. Fisheries and Marine Service Research and Development Technical Report No. 629. 44p. Beamish, R.J., M. Smith, R. Scarsbrook, and C. Wood. 1976. Hake and pollock study, Strait of Georgia cruise G. B. Reed, June 16‑27, 1975. Fisheries and Marine Service Data Records No. 1. 174p. Beamish, R.J., K.R. Weir, J.R. Scarsbrook, and M.S. Smith. 1976. Growth of young Pacific hake, walleye pollock, Pacific cod and lingcod in Stuart Channel in 1975. Fisheries Research Board of Canada Manuscript Report Series No. 1399. 28p. Beamish, R.J., and N.E. Williams. 1976. A preliminary report on the effects of river lamprey (Lampetra ayresii) predation on salmon and herring stocks. Fisheries and Marine Service Research and Development Technical Report No. 611. 26p. Beamish, R.J., G.A. McFarlane, J.C. VanLoon, and J. Lichwa. 1975. An examination of the possible effects of Sudbury nickel mining and smelting operations on fishes and the water chemistry of lakes within the Whitefish Lake Indian Reserve. Fisheries and Marine Service Research and Development Technical Report No. 579. 52p. Beamish, R.J. 1974. A. P. Knight groundfish cruise no. 74‑1, May 21‑24, 1974 (Data Record). Fisheries Research Board of Canada Manuscript Report Series No. 1318. 9p. Beamish, R.J. 1972. Design of a trapnet for sampling shallow‑water habitats. Fisheries Research Board of Canada Technical Report No. 305. 14pdesign of trapnet for sampling shallow water habitats.pdf. Beamish, R.J. 1970. Factors affecting the age and size of the white sucker Catostomus commersoni at maturity. Ph.D. Thesis. University of Toronto, Toronto, Ontario. 170p.